Historically, children’s hospices are more reliant on the generosity of the general public and funders than on receiving financial assistance from government health departments. With very few exception palliative care for children is not incorporated into national health care systems and is insufficiently resourced, restricting its impact. Funding and finding the means to sustain children’s palliative care programmes is always a challenge. 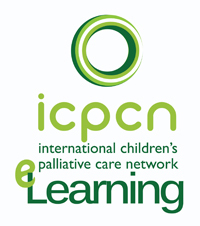 While the ICPCN lacks the capacity to provide funding for children’s hospice and palliative care services, we aim to provide our members with information on what funding is available for children’s palliative care and give guidance on how to access this funding. 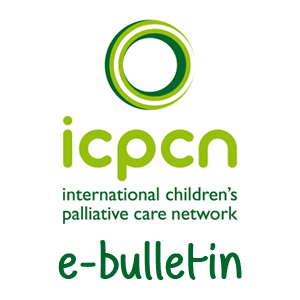 Download the OSI document: A review of donor organisations supporting palliative care in five world regions. 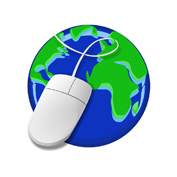 The following list provides links to the websites of some funders, charities and charitable organisations who may possibly consider funding applications for hospice and palliative care programmes. Please note that individuals and organisations who wish to apply for funding need to carefully read funding guidelines found on the website of any charity or foundation listed below to ensure eligibility and are entirely responsible for making applications as set out within these guidelines. An excellent source of information on British Charities and Charitable foundations can be found on the website of the Association of Charitable Foundations. This website also provides advice on applying to a foundation or charity for funding. The Foundation’s central objective is to promote sustainable livelihoods, focusing on education, international development and governance, environment and health and HIV. The Baring Foundation has specific grant programmes concerned with strengthening the voluntary sector, international development and the arts. Grants are open to organisations working with disadvantaged children and young people who are 18 years old and under. The organisation and project must be based in the UK and needs to be a registered charity or other not-for-profit organisation. The Big Lottery Fund gives grants from £300 to over £50,000 to organisations ranging from small local groups to major national charities within the United Kingdom. Make charitable donations in support of non-profit organizations. They also provide sponsorships, corporate memberships, and other kinds of support. Bristol-Myers Squibb supports strategic initiatives that help address health disparities in four key areas: HIV/AIDS in Africa, hepatitis in Asia, serious mental illness in the United States and cancer in central and eastern Europe. Comic Relief tackles poverty and promotes social justice in the UK and with the poorest countries in the world, with a specific focus on Africa. The Edward Starr Charitable Trust exists to improve the lives of children in the UK and around the world by providing project based funding. Working in partnership with individuals and charities they aim to support initiatives that give benefit to children through education, healthcare, development or simply fun. Firelight provides initial one-year grants of between $1,000 and $10,000 to Church Based Organisations serving vulnerable children and families. They strive to make grants that support local initiatives, and are sensitive to the capacity of smaller organizations to absorb and utilize funds. Their focus is on eastern and southern Sub-Saharan Africa. Types of support include grants, recoverable grants, loans and loan guarantees. Their overall mission is to reduce poverty and injustice and to promote democratic values, international cooperation and human achievement. The Frank Buttle Trust is the largest UK charity providing grant aid solely to individual children and young people in desperate need. The Trust only provides grants for children living in the UK. They also look at more strategic ways to improve the life chances of future generations of children and young people, by influencing opinion formers, policy makers and practitioners. The Fuserna Foundation will fund both UK and international charities which are registered in the UK. The Foundation focuses on supporting smaller charities and unpopular causes where any donation made can make a real and sustained impact. They wish to assist, promote, encourage sustainable projects that create long term benefits for disadvantaged local communities that are trying to improve their area. This will include the making of grants to projects that assist individuals who by reason of their youth, age, infirmity or disablement, financial hardship or social and economic circumstances have need of such facilities, particularly projects which assist young people in the long term through education and training. 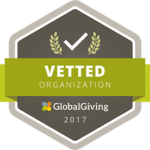 Global charities supports organisations which assist children, young people and disadvantaged adults within the United Kingdom. The Hilden Charitable Fund awards grants to projects both in the UK and in developing countries. The aim of the fund is to address disadvantages, notably by supporting causes which are less likely to raise funds from public subscriptions. Both the UK and overseas fund policy is directed largely at supporting work at community level. Grants are rarely given to well-funded national charities; grants are not given to individuals. Hospices of Hope are the leading palliative care charity in South Eastern Europe. They raise money from as many ethical sources as possible and seek ways to increase income in order to provide grants for their partners in Romania, Serbia and Moldova to help sustain and develop their hospice services. They work with a wide range of not for profit organisations within the United Kingdom with the aim of helping them to gain the maximum benefit from their IT. Members give their time and expertise to provide pro bono IT advice (usually at a strategic level). Irish Aid enters into funding partnerships with various types of organisations in the delivery of its programmes. A strong effort is made to ensure that these contributions serve to enhance Irish Aid’s core mission of alleviating poverty in a measurable and sustainable way. An important element of the Irish Aid programme is its special relationship with certain developing countries. Direct funding is given to programmes and projects which meet basic needs in nine priority countries. See website for details. The John Ellerman Foundation aims to support a broad cross-section of charities doing work of national significance, including the categories of Medical and Disability, Community Development and Social Welfare, Overseas Aid (principally central and southern Africa. Only charities with a UK office will be considered). The Peter Harrison Foundation makes grants to people with disabilities and those that are disadvantaged. Their Special Needs and Care Programme for Children and Young People is for charities in the South East of England, excluding London and Greater London. Applications are accepted only from charities in: Berkshire; Buckinghamshire; Hampshire; Isle of Wight; Kent; Oxfordshire; Surrey; East Sussex; and West Sussex. Under the New Partners Initiative, PEPFAR is awarding grants totalling approximately $200 million to new partners to provide HIV/AIDS prevention and care services. This third round of planned three-year grants will be worth at least $52 million. To ensure the sustainability of the response, NPI offers assistance to successful applicants, focusing on quality program implementation, needs analysis, and organizational growth and strengthening. The Foundation concentrates its support on projects in the UK including health/medicine, social welfare and development. It particularly supports work of national importance which helps society’s most vulnerable or disadvantaged individuals, especially children, young people and the elderly. Beneficiaries are charities and non profit making organisations working with disadvantaged children and young people, under the age of 18 years and living in the UK. They also help disadvantaged individuals under the age of 18 years and their families and carers. This UK based Charity funds both local and overseas organisations. 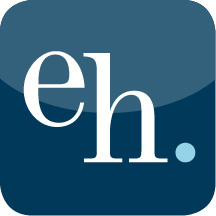 For work in Hertfordshire and the UK, most of the organisations that they make grants to will be registered charities. However they will also consider applications from organisations that are delivering work which is legally charitable. For overseas work, they will only make grants to UK registered charities but seek those whose activities are strengthening the capacity of local NGO’s. The Trustees are committed to supporting a large number of excellent local organisations and projects that support disabled children and their families on a daily basis. The Trust has a small grants programme, open to application at any time, which provides grants of up to £10,000, usually for one-off purposes, to help smaller organisations develop and deliver programmes for children, their siblings and families. The True Colours Trust also has a small grants programme which provides grants, of between £1,000 – £2,500, to organisations offering palliative services for children across the continent of Africa. Globally, the Vodafone Foundation supports projects that are focused on delivering public benefit through the use of mobile technology across the areas of health, education and disaster relief. The Vodafone Foundation invests in the communities in which Vodafone operates and is at the centre of a network of global and local social investment programmes. Step Forward helps those people most in need of support to transform their lives through community volunteering. Working through a team of outreach workers we provide tailored one-to-one support to help individuals into volunteering placements that match their needs and interests, and help them develop the personal and practical skills required to build a more positive future. A small grant-maker concentrating on sustaining work that has proved its worth for at least 3 years in England and Wales. They make a grant when other funding is coming to an end. They fund children between the ages of 5 and 25, people with disabilities and people with life-limiting problems of a social, rather than medical problem. The African Palliative Care Nursing Scholarship Fund has been created to fund African nurses in furthering their knowledge and skill in the provision of palliative care and hospice services. The fund has been created by a partnership between the African Palliative Care Association (APCA) and FHSSA (which began as the Foundation for Hospices in Sub-Saharan Africa). All grants made by the Trust are project based and must have an educational aim, element or content. 1. Those considering embarking on a gap year may be awarded a grant of £300 towards their expenses. No more than 165 such grants will be made each year on a first come first served basis. Grant cheques will not be paid to the applicant, but to the administrators of the project in which the applicant proposes to participate. 2. Postgraduate PhD students, whether from overseas or from the UK, may be awarded a grant to help meet tuition costs, but only in respect of the last year of their course. Grant cheques will not be paid to the applicant but to the University at which they are studying. The Foundation is an inter-governmental organisation that supports non-governmental organisations in Commonwealth countries. They support NGOs and cultural organisations in their work with governments, and provide opportunities for NGOs to meet and share experiences and ideas. They give grants to help people run and participate in workshops, seminars, conferences, cultural festivals, exchanges and study visits. Commonwealth Scholarships and Fellowships help citizens from one Commonwealth country pursue further education in another Commonwealth country. The subjects studied must be related to development issues. Between 200 and 230 scholarships are awarded each year. DFID’s Shared Scholarship Scheme assists students from developing Commonwealth countries, of excellent academic calibre who, for financial reasons, are unable to study in Britain. These students are outside the scope of other British government support schemes, but would benefit from higher education in the United Kingdom. UK universities who participate in the scheme pledge to match DFID funding for selected candidates. Awards are mainly for postgraduate study for a maximum of two years. The Sir Ernest Cassel Educational Trust supports travel costs relating to a research project. Awards are particularly aimed at recent postdoctoral scholars. The British Acadamy administers this fund. The Florence Nightingale research scholarships provide an opportunity to engage in nursing and midwifery research activity. These scholarships are available to all British and Commonwealth nurses and midwives currently registered with the NMC and working in the UK. They are awarded for projects which will be of direct benefit to patients and the professions more widely. Applications are considered from students who have made proper provision to fund a degree or higher education course but find themselves facing unexpected financial difficulties which may prevent completion of it; also from students who are required, as part of their course, to spend a short period studying abroad. Applicants must be full-time students at a British University. The trust also makes grants to organisations, for expeditions and for field work. All applicants must be members of the IAHPC. You can join online. The IAHPC Traveling Fellowship Program is designed to provide support to palliative care leaders who are invited to developing countries. Through the Traveling Fellowship Program, IAHPC is making a significant difference to the development of palliative care in the developing world. 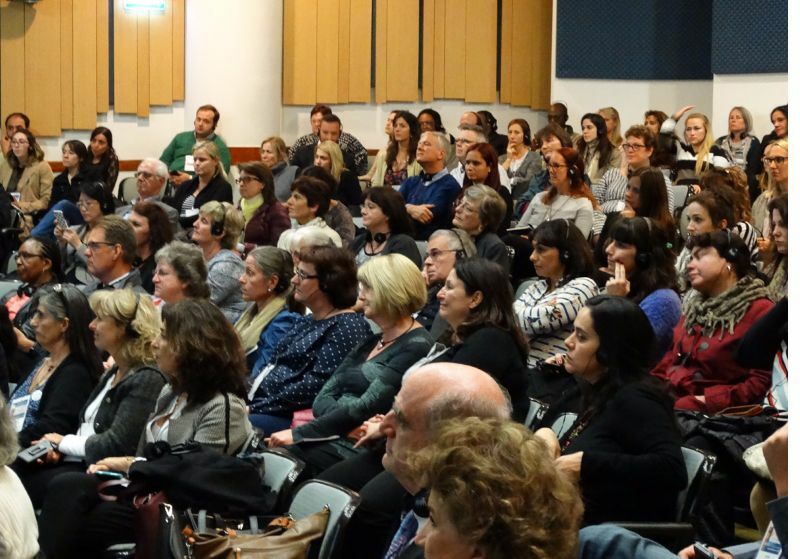 The IAHPC Travelling Scholarship Program is designed to provide support to palliative care workers from developing countries who wish to attend a meeting, conference, seminar, internship or any other educational activity. IAHPC has supported Travelling Scholars from many developing countries in Africa, Asia, South Pacific, South East Asia, Latin America and Eastern Europe. Information on the funding schemes that the RCN administers to assist with the cost of courses, projects, research, study tours, conference presentations, etc. for RCN members. Only available in the United Kingdom. Funding of up to £15,000 is available for postdoctoral research projects in social sciences. OSF awards grants, scholarships, and fellowships on a regular basis throughout the year. Applicants can determine their eligibility and view relevant initiatives and application guidelines. Supports many different kinds of research and activities with the ultimate aim of protecting and improving human and animal health. This support is not restricted to UK researchers – the trust devotes significant funding to international research.